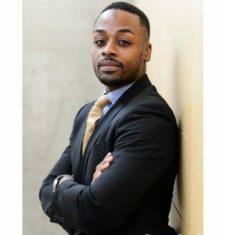 Zachary Parker is Director of School Support for The Achievement Network, which works alongside school leadership teams to strengthen their school-wide practice and culture of using learning standards and achievement data to get breakthrough results for students in low-income communities. He is Founder and Partnership Lead for Global Millennials for Progress. From that bio: Zachary is an award-winning educator, national nonprofit consultant, and self-professed political junkie. Zachary is a native of Chicago, Illinois and an alumnus of Northwestern University and Columbia University’s Teachers College. He currently resides in Washington D.C. and brings to this team his entrepreneurial spirit and experience managing and leading complex teams. As Zachary’s brainchild, Global Millennials for Progress is poised to impact the lives of millions of individuals across the globe.